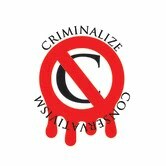 Criminalize Conservatism: Conservative Christians Persecuting Americans? We have refrained from commenting on religion on this site in the past, primarily because the existence or non-existence of God has little to do with the criminalization of Conservatism, but while Conservatism is a cover for the vast right-wing plot to take our country over by the richest and greediest among us, we must acknowledge that the Conservative leadership is using the evangelical churches in their quest for power. 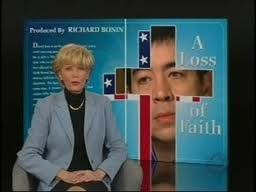 David Kuo, the Conservative Christian activist who was the number two man in George W. Bush's "faith-based" office, reported in his tell-all book, Tempting Faith, said that "...the White House was a place that cynically used religion for political ends and that White House aides ridiculed the very Christian leaders who helped bring Mr. Bush to office. "In Kentucky, a homeland security law requires the state’s citizens to acknowledge the security provided by the Almighty God--or risk 12 months in prison. "The law and its sponsor, state representative Tom Riner, have been the subject of controversy since the law first surfaced in 2006, yet the Kentucky state Supreme Court has refused to review its constitutionality, despite clearly violating the First Amendment’s separation of church and state. "The law states, 'The safety and security of the Commonwealth cannot be achieved apart from reliance upon Almighty God as set forth in the public speeches and proclamations of American Presidents, including Abraham Lincoln's historic March 30, 1863, presidential proclamation urging Americans to pray and fast during one of the most dangerous hours in American history, and the text of President John F. Kennedy's November 22, 1963, national security speech which concluded: "For as was written long ago: 'Except the Lord keep the city, the watchman waketh but in vain.'" "Tom Riner, a Baptist minister and the long-time Democratic state representative, sponsored the law. "A practicing Baptist minister, Riner is solely devoted to his faith--even when that directly conflicts with his job as state representative. He has often been at the center of unconstitutional and expensive controversies throughout his 26 years in office. In the last ten years, for example, the state has spent more than $160,000 in string of losing court cases against the American Civil Liberties Union over the state’s decision to display the Ten Commandments in public buildings, legislation that Riner sponsored. "Although the Kentucky courts have yet to strike down the law, some judges have been explicit about its unconstitutionality. "'Kentucky's law is a legislative finding, avowed as factual, that the Commonwealth is not safe absent reliance on Almighty God. Further, (the law) places a duty upon the executive director to publicize the assertion while stressing to the public that dependence upon Almighty God is vital, or necessary, in assuring the safety of the commonwealth,' wrote Judge Ann O'Malley Shake in Court of Appeals’ dissenting opinion. "This rational was in the minority, however, as the Court of Appeals reversed the lower courts’ decision that the law was unconstitutional. 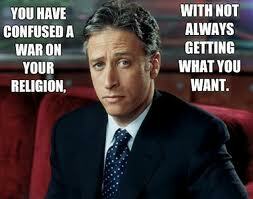 "Last week, American Atheists submitted a petition to the U.S. Supreme Court to review the law. "Riner, meanwhile, continues to abuse the state representative’s office, turning it into a pulpit for his God-fearing message. 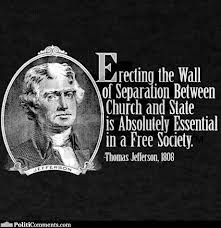 "'The safety and security of the state cannot be achieved apart from recognizing our dependence upon God,' Riner recently t old Fox News. 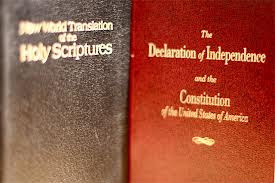 "'We believe dependence on God is essential. ... What the founding fathers stated and what every president has stated, is their reliance and recognition of Almighty God, that's what we're doing,' he said. 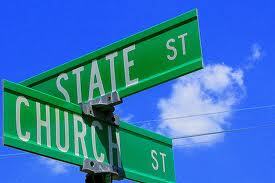 The rest of the nation believes in the Separation of Church and State, as the Constitution provides. But how long before the Conservative propaganda machine convinces enough of the country that laws like this are reasonable. How long before new prisons are built for those who fail to "...acknowledge the security provided by the Almighty God?" How many innocent people will Kentucky sentence to a year in prison for failing to acknowledge that the "Almighty God" is a Christian god? And how soon will it be before the one-year prison sentence is stretched to 5 years, 10 years...or even the maximum penalty of death by execution? Before it's too late, we must make Conservatism illegal, we must criminalize Conservatism for the sake of our democracy.